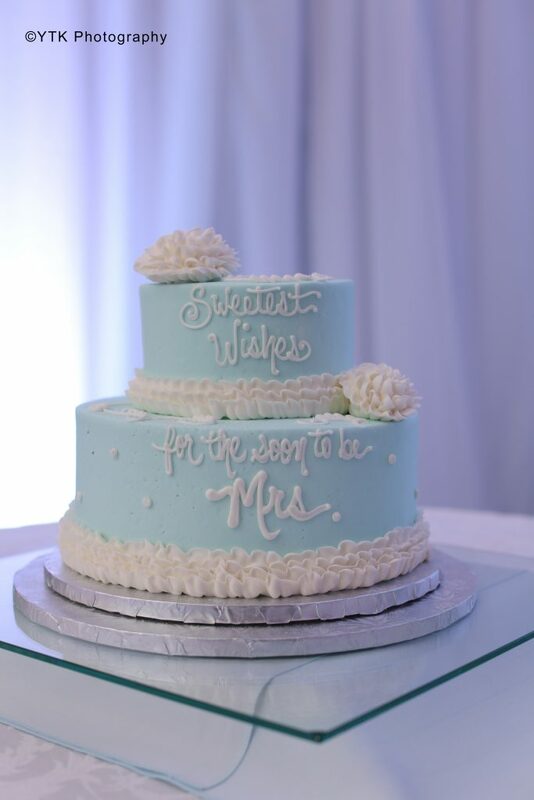 Earlier this month I had my beautiful Bridal Shower at The Hilton Garden Inn Clifton Park. It was perfect, and I couldn’t have been happier with the turnout. The Adirondack room at the Hilton Garden Inn has been renovated recently and the space is beautiful, perfect for a shower! 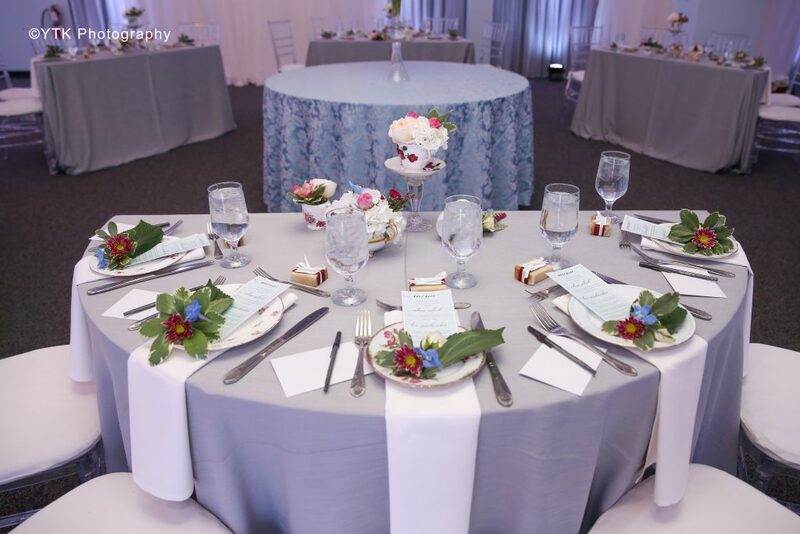 They have other event spaces as well of different sizes to accommodate other types of events. 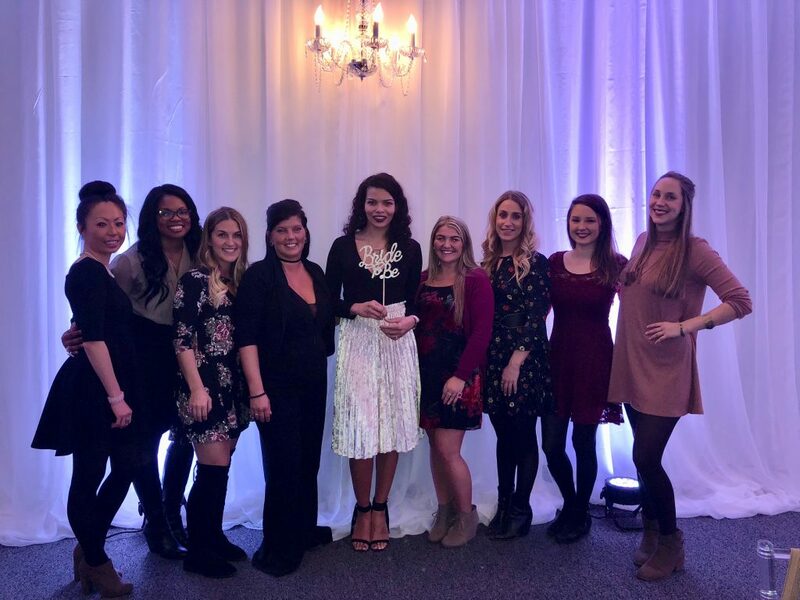 My Bridal Party, Styled by Melissa, Blooms Wedding and Event Designs, Rain or Shine Rentals, and Mazzone Hospitality at the Hilton Garden Inn worked together to make my bridal tea party come together perfectly. 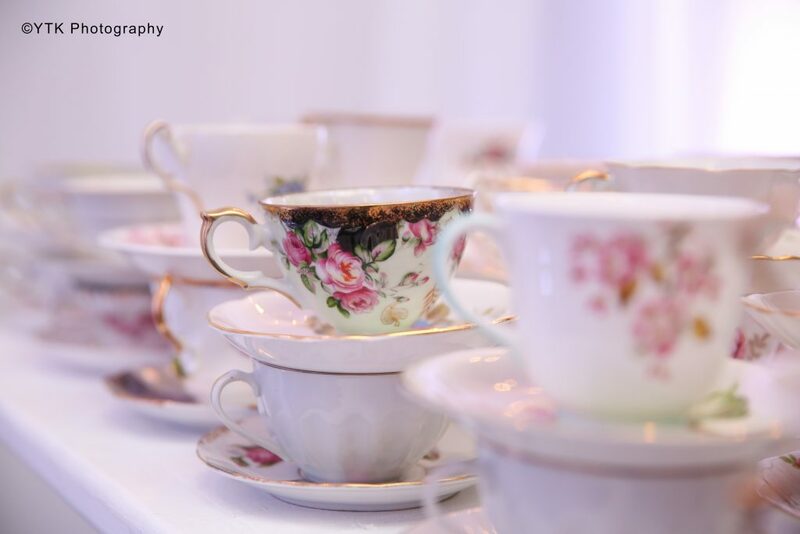 This was not your daughter’s tea party (unless you’re Becki Woodcock, then yes, it was in fact your daughters tea party-Hi mom!) 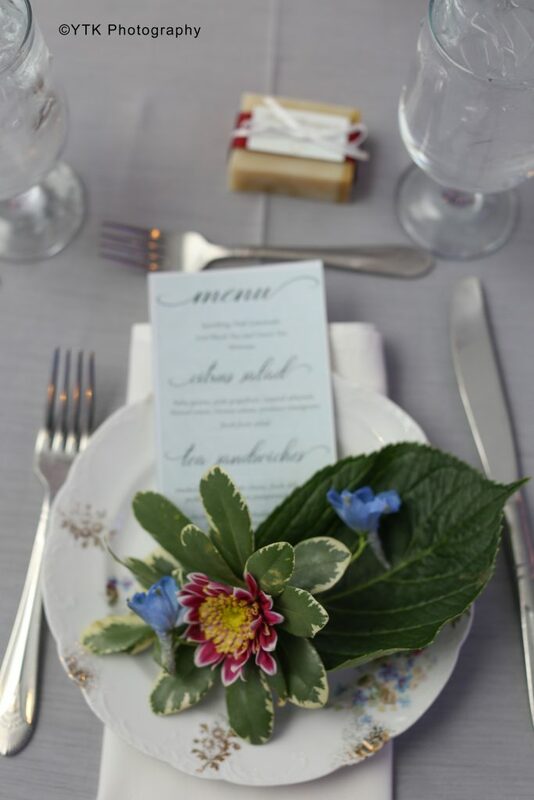 What I mean is the professionals took this theme and ran with it while making it perfect and beautiful for an adult gathering. 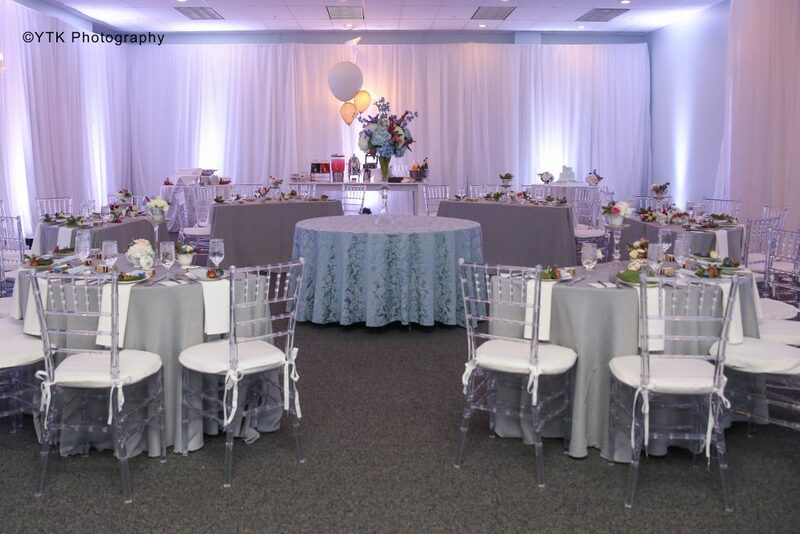 The blue and white hues in the room paired with the beautiful chandeliers gave the room such a swanky feel. 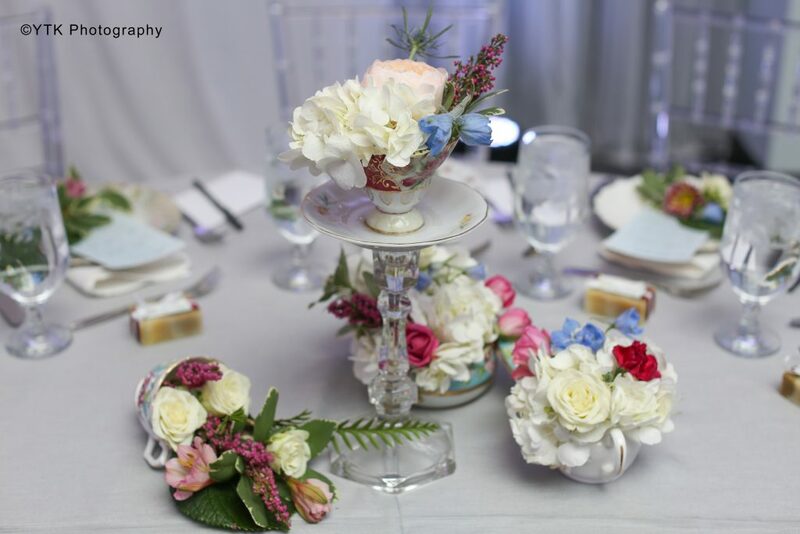 The flowers in the intricately designed tea cups really breathed life into the room and seemed to make it all come together. For food, we started with a stationary display with veggies & hummus, cheese & crackers, and an amazing artichoke dip. 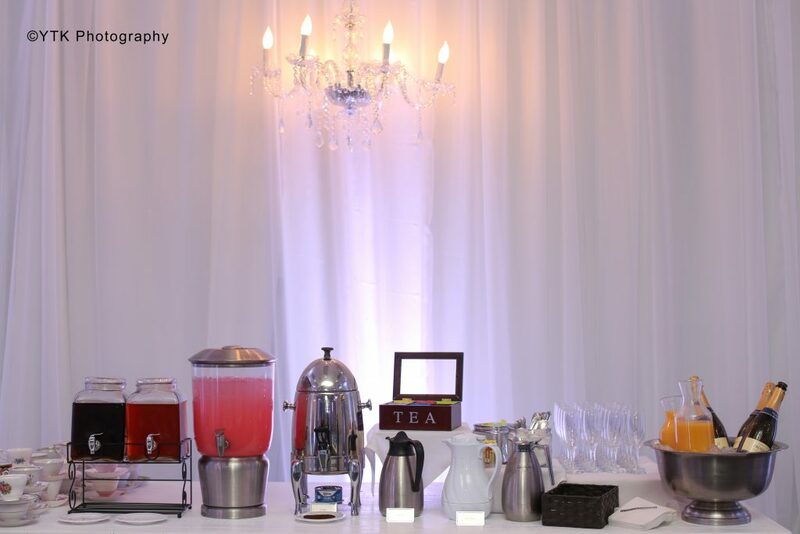 To drink, we had sparkling lemonade, iced black tea and green tea, and of course mimosas! Next up, was citrus salad, a variety of adorable (and delicious) tea sandwiches, scones, and muffins. It seemed like an ideal set up for this type of occasion. The beautiful cake was also delicious. Vanilla with a fruit/vanilla cream filling! I was quite happy to take leftovers home (but yes, the dress still fits)! I was a little nervous about having the spotlight but seeing everyone come together for me and having a room full of my loved ones eased my nerves quickly. 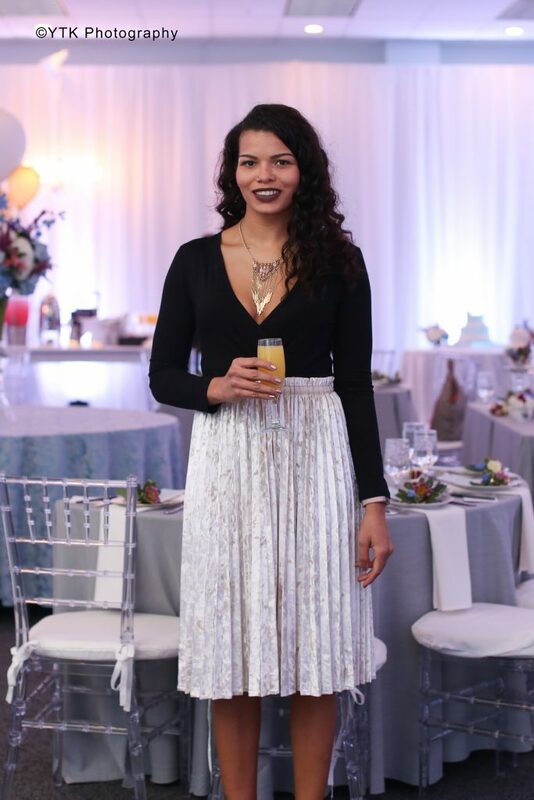 It was such an amazing feeling being “showered” with so much love and support as the big day quickly approaches.We played some fun games, drank mimosas, ate delicious tea party appropriate foods and shared many laughs. With just over a month to go, things are really coming together and I’m so excited to celebrate with everyone as I marry the love of my life.